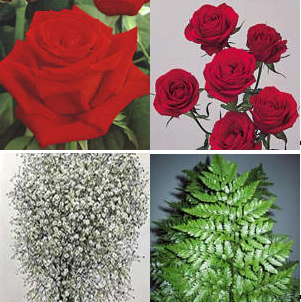 Below are some of our more popular flower combinations. These combinations are designed for those who want to do it themselves. We have cut out the guess work regarding quantities, and what works well together, for making your own wedding flower arrangements, bridal bouquets, and other event flowers. All colors are selected by you, giving you the opportunity to make your own statement. Call to place your order.